Friday 14th February, 2014	 Headline / whisky / WOOOOOOOOOOOOOOOOOO! I had a lot of fun in 2013. Amid some career uncertainty and a few testing times, life flung at me the assortment of utter excellence and fun which I’ve come to really like about it. I know in days of yore I’d blog about a good deal more of it, however those days are gone which either means I’m having more fun than I used to, or I’m typing a lot slower these days. But rather than try to articulate the entire year, there are 2 highlights that I’m particularly proud of. 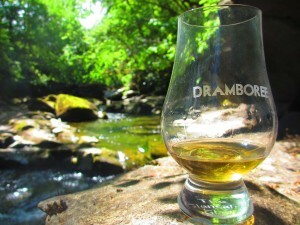 One of the things I did last year that’s eaten up a chunk of my “spare” time was to co-organize a whisky tasting festival in Scotland, back in July. 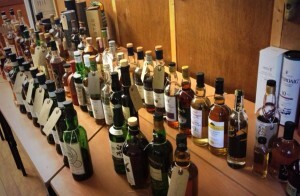 For the last few years I’ve been going to a whisky weekend festival in The Netherlands, called Maltstock. 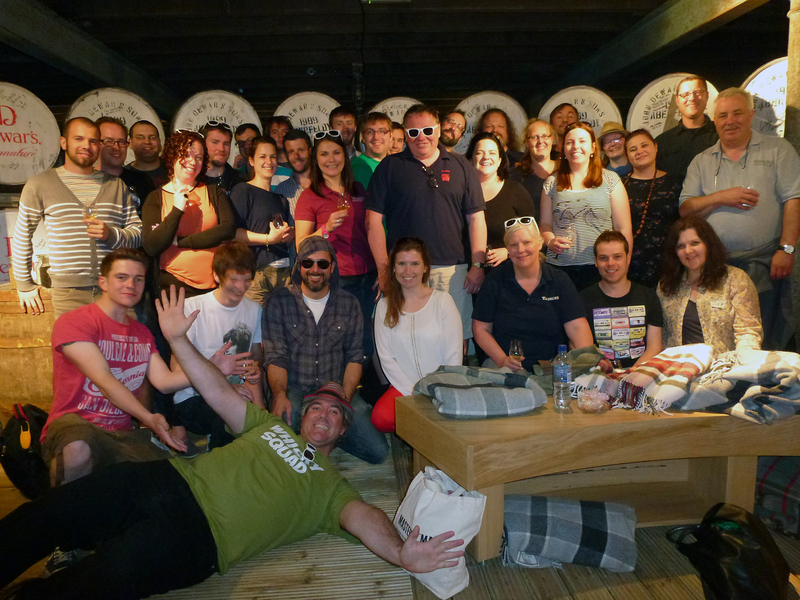 For a whisky enthusiast it’s brilliant – like-minded people bring all sorts of interesting whiskies out to share with each other, and you get all weekend to chill out, relax, and enjoy things at your own pace. And probably about 2 dozen times I’ve found myself in conversations featuring the sentence, “Do you think something like this could work in the UK?”. Best way to find out is to give it a go, really – and thus Dramboree was born. 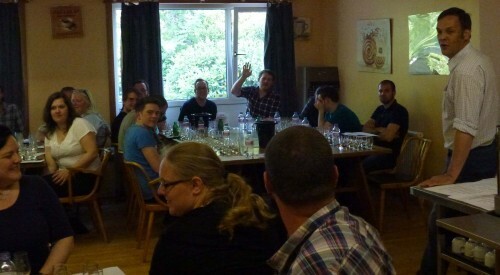 Pushed into being largely by the efforts of my Glaswegian chum Jonny McMillan, the idea was to get a place that could accommodate the right number of people, get them all to bring a bottle of whisky or 2 to share, and put together some extra tasting workshops to keep things interesting. 8 months of planning & stress came to fruition however when the 35 of us gathered at Dunolly House in Aberfeldy, shaking out the travel-cobwebs with a cleansing beer prior to the first of our tasting workshops. Magnificently, Jonny had arranged for Francis Cuthbert from Daftmill Distillery to present a selection of his whiskies to us – the theme was looking at differences between whiskies distilled during summer, versus those distilled in winter. What was equally fascinating about this session was the world-first nature of it – Daftmill (a self-sufficient farmhouse distillery) are yet to bottle any of their whisky, and this would be the first tasting of their spirit held outside of the distillery walls! The bunkhouse accommodation would best be described as “cheap & cheerful”, with the focus being on keeping costs down to enable people to attend without bankrupting themselves. It was observed a couple of times that it’s easier and cheaper (for those of use who’ve been to Maltstock) to get from London to a small town in The Netherlands than to get to Aberfeldy. As if the first workshop wasn’t enough to get excited about – the next session was a tour through a selection of older whiskies (1960s, 70s and 80s bottlings) led by Angus MacRaild, of Mulberry Bank Auctions. Many of us don’t get the chance to taste these gems from the past – it’s always a fascinating opportunity to see how perhaps distillation & aging policies have changed over the years. And to have Angus there in part as a whisky historian – discussing many of the aspects of production which we may ordinarily take for granted. At one point the whisky tasting transformed into something between a debate and a standup brawl about marketing techniques and approaches then-and-now, and as an event organizer it was marvelous to see such an engaged group of participants! 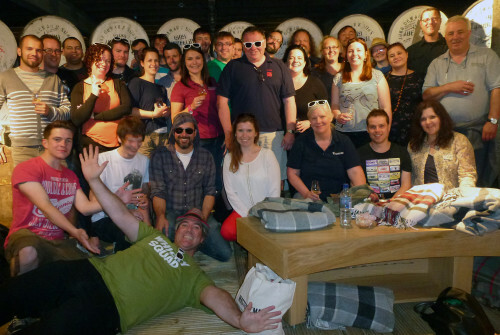 Saturday’s programme comprised a special “behind-the-scenes” tour and warehouse cask sampling at Aberfeldy Distillery, led by Stephen Marshall of Dewars: a definite highlight of the weekend, and an experience impossible to repeat. Melanie Stanger from Campbeltown’s famous Springbank Distillery joined us after lunch for a tasting of a selection of cask samples featuring some interesting wood-finishes, and showing that Springbank (along with its other whiskies, Hazelburn and Longrow) is a quirky little force with many strings to its bow. A slight wrinkle in logistics (what first-time event ever goes smoothly?) dinner was delayed a little, so the final organized tasting workshop of the weekend was moved forward, and what we’d thought would be a Feis Ile 2013 session (featuring 6 whiskies we picked up on Islay this year at the festival) became an unforgettable quiz/charades/physical challenge/whisky tasting hybrid, thanks to the ingenuity and inventiveness of those chaps from The Whisky Lounge, Eddie Ludlow and Joe Clark. 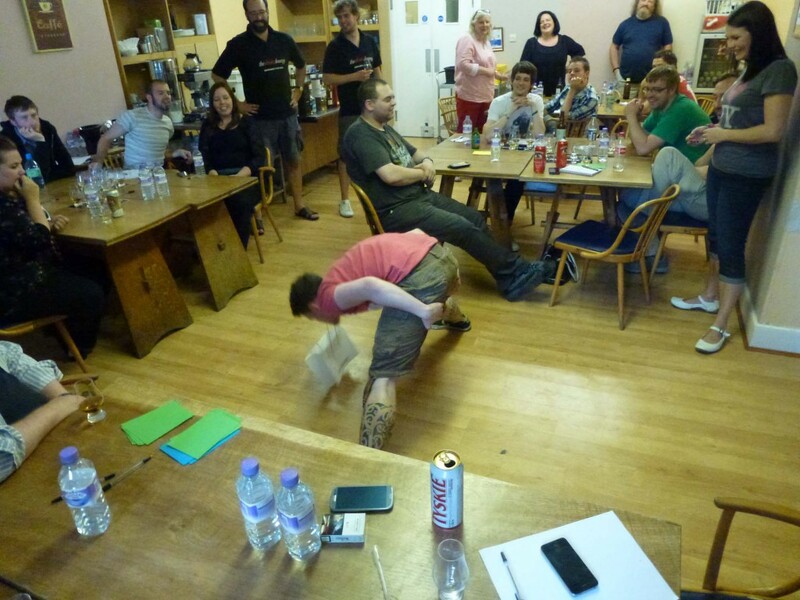 Maltstock may have the most famously nerdy whisky quiz in the world, but they’ve never had the spectacle of Jonny McMillan trying to mime “Porteus Mill” to a table of very confused teammates. 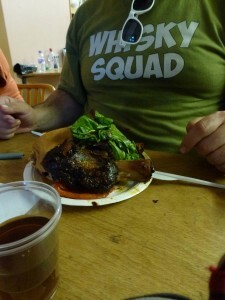 It’s impossible to report on the amazing fun of Dramboree without waxing lyrical about our utterly splendid evening meal: provided and prepared by the, frankly, awesome folk from Master of Malt. 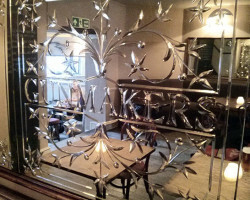 Ben Ellefsen*, upon hearing of our intent to run this event, phoned up and COMMANDED me that he would be doing barbecue – and were I to do any less than shower the meal with superlatives would be to under-do it in terms of justice. Malt-teasers Jake Mountain and Miss Cat Spencer did an absolutely prime job with those ribs, pulled pork and other barbecue treats. 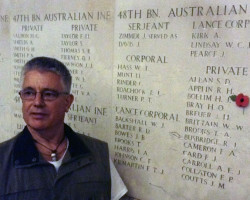 Not a dry eye in the house, nor a surface free of BBQ sauce. 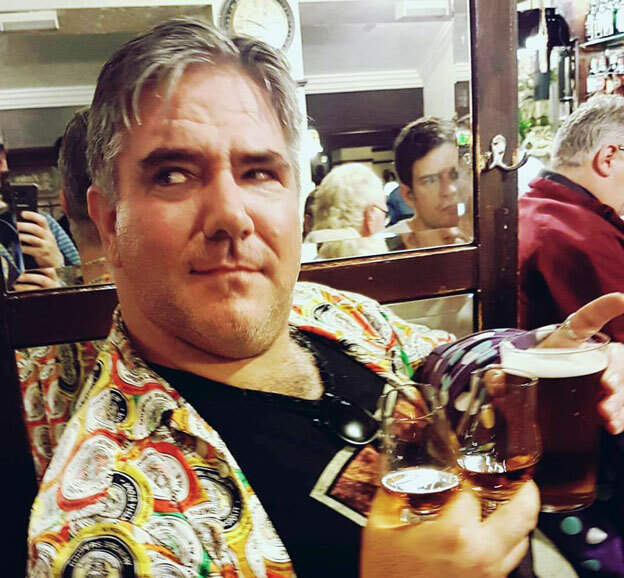 Less an “organized” workshop but still a brilliant part of the weekend was the random appearance of “Dr Sam’s Midnight Drams” – a couple of very curious and tasty contributions by Balvenie’s global brand ambassador, Dr Sam Simmons. There’s something deliciously appealing about the idea of a secret tasting at midnight, when nobody’s noticed that the clock we’re all timing ourselves to has stopped at 11:56. 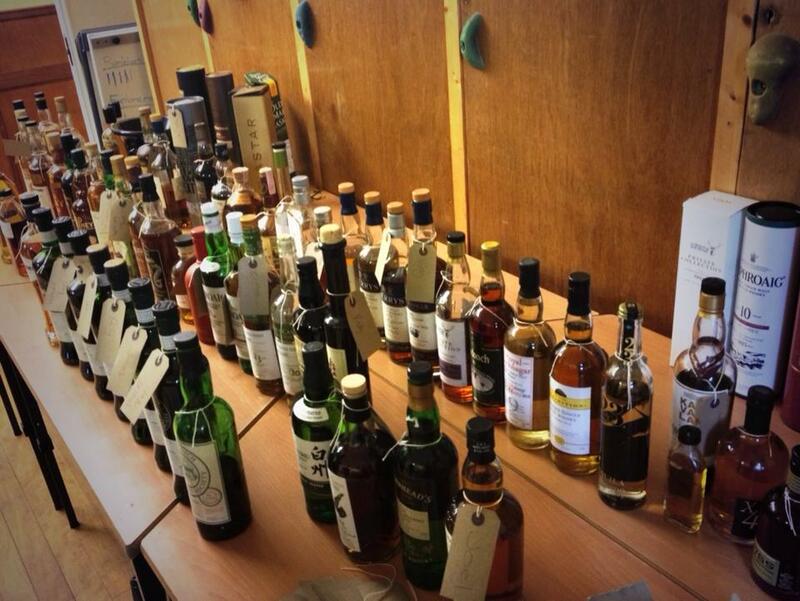 But to highlight the tasting workshops would be to ignore the immense and diverse selection of whiskies which people brought along to share on the Dramboree Tasting Table! When we suggested that people bring a bottle to share I’ll confess I had no idea that they’d come to the party like this! The whole concept centres around the idea that as a whisky enthusiast you’ve probably got a few bottles on your shelf which you’re just “waiting for the right moment to open”. 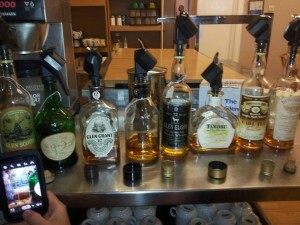 And so by gathering a wodge of friendly folk as interested in whisky as you are, we tried to create just that occasion! 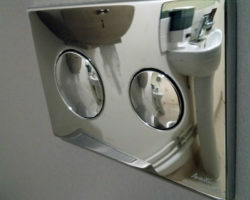 There was weird stuff. There was prestigious stuff. There was museum-grade stuff. There were whiskies just great for drinking, and many more to inspire conversation, reminiscence and debate. The only shame of it really was that there wasn’t more time to explore them all – and we had a whole weekend! As an event organizer, this couldn’t have gone better. As a whisky enthusiast, this couldn’t have gone better. A fantastic crew of people in a great little location sharing their passion and enthusiasm for one of their favourite hobbies. Our small group had people coming from as far afield as Bristol, and indeed The Netherlands – all leaving with a great buzz and babbling questions about when we’d do another Dramboree! It’s possible to get caught up in endless platitudes, however real kudos for the success of the weekend genuinely do need to go to Jonny – his impetus and industry made the event the success that it was. Rarely have I worked with someone with the same commitment and drive. 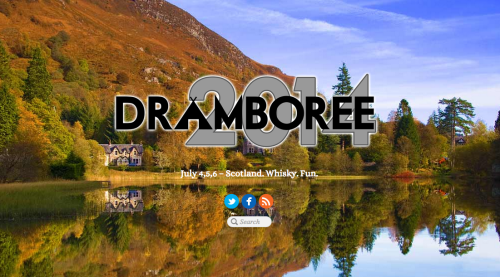 And what are we planning for Dramboree 2014? Well, have a look at the website. 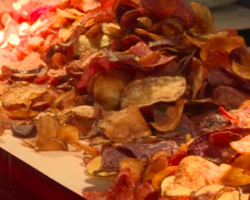 * Customarily Ben’s surname is spelled incorrectly in blogposts & magazine articles, and loath as I am to abandon this rich seam of tradition, quite frankly his name deserves to show up correctly in google searches in connection with such meaty majesty**. ** It also deserves to show up in connection with slightly suspect phrases, like “meaty majesty”.